How will the digital revolution be advertised in 2018? We are approaching the time of year where we confess that we have eaten and drank too much while probably watching too much bad TV. Traditionally, marketing messages start filtering through in a transparent attempt to get us away from our couches and towards the sales in shopping malls where we can buy more stuff. However, the old way of executing marketing campaigns that very often relied on the gut instincts of CMOs or an approach of “this is how we’ve always done it at this time of year” is no longer working. But should we be surprised? It’s been a rocky year for advertisers as audiences increasingly tune out of generic marketing messages. Cord cutters are also turning away from the traditional way of watching TV. When was the last time you sat down and sat through the ads? But there is an argument that throwing more tech at the problem is not the solution either. Underestimating the impact that digital is having across every aspect of our life should already be considered inexcusable. Our homes are filling up with more technology than our offices and could be accused of further fueling our thirst for instant gratification. The digital transformation is already here, and brands need to step up or get left behind. The Trade Desk is a technology company that is bringing technology the forefront to open up new roads of opportunities across an increasing number of digital channels. 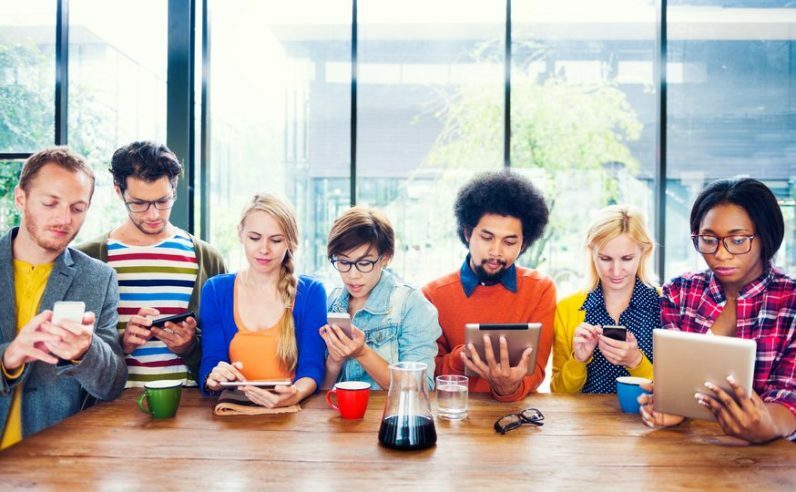 Our eyes are currently being bombarded with content across digital displays, video, audio, native and, social across a plethora of devices and they think have the answer to regaining our attention. Personalized messaging is increasingly being seen as the silver bullet for meaningful engagement as we enter an era of data-driven digital advertising. But, The Trade Desk CEO and Co-founder, Jeff Green also believes that advertisers and marketers need to target the bureaucracy and internal politics that is really holding them back. It currently feels like everything is up for grabs and all industries are ripe for disruption. Marketing is no different in undergoing a transformational period of change driven by driven by technology and data. However, its organizations that have become shackled by their own red tape and archaic processes that are struggling to adapt to this brave new digital world. It seems that some have ignored the failings that led to the demise of household names such as Blockbuster, Nokia, and Kodak. Brands that fail to make their voice heard across a multitude of digital channels are slowly disappearing from the hearts and minds of their customers. During this transitional period, we are seeing more and more experienced CMOs leaving major brands to join up and coming ad-tech companies. Leading this new wave of solutions, The Trade Desk seems to be positioning itself as the advertising version of an electronic stock exchange by partnering buyers with the most appropriate sellers for their audience. Although it’s recently acquiring intelligent identity resolution technology Adbrain that is putting The Trade Desk in the headlines, this only tells half the story. Jeff told me that creating the right company culture and delivering value to their clients is the most critical factor that many seem to forget. Advertisers that persist with generic marketing messages and fail to treat their consumers as unique individuals are already falling out of favor with savvy online shoppers. As consumers, our habits are changing; leisure experiences are replacing buying more things we don’t need. But, is this such a bad thing? As we look towards the opportunities on the horizon in 2018, it can only be a matter of time before we finally begin to see the convergence of Adtech and Martech. Meanwhile, the old guard that have continued to ignore the warning signs can expect a very rough year ahead.